Looking for Rubbish Removal in North Sydney? 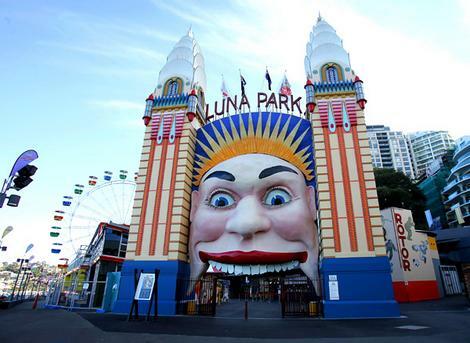 Just off the Harbour Bridge lies North Sydney which is famous for many of the City’s landmarks, including Luna Park. With a population of more than 6300 people and a density of 4470 square meters, North Sydney is a place not just full of businesses, homes and people but also rubbish from the day to day activity of the population. Because of this, Rubbish Taxi Services offers a wide range of rubbish removal North Sydney. Rubbish Taxi covers a removal services in Sydney’s North Shore. Better yet, if you are based within North Sydney CBD, we offer a hassle-free rubbish removal service. Additionally, domestic services such as garden clean-ups are available for clients residing in the leafy, suburban North Shore. Some of our services include e-waste removal, commercial rubbish removal, domestic clean ups, renovation demolition and deceased estates. Whatever kind of rubbish you have, we can take from your home, office or store. Just call us and we can arrange a free onsite price quotation that suits your budget. We believe in making the world a better place one rubbish at a time. If we can recycle useful electronic gadgets, beds, cabinets, sofa, etc. we will recycle them. It is not for the sake of us making more money from your rubbish, but for the sake of making the landfills have less fill. The proceeds that we get from the sale even go to charity. What better way to throw things you don’t find useful anymore, isn’t it? You just didn’t throw rubbish, you also help give to charity.Rubbish Removal in North Sydney is a professional service that we take seriously. To find out more about what particular areas in North Sydney we service, call us now! Rubbish Taxi covers the following rubbish removal services in the North Sydney area. ewaste, commercial rubbish removal, domestic clean ups, renovation demolition and deceased estates. Call today for a free quote estimation. For rubbish removal in your area see the list above for suburbs that we service. If your suburb isn't listed, call us to discuss your needs on (02) 9573 1112 or contact us vie email.